Parents, does this sound familiar? Your gorgeous little girl is an absolute angel, according to everyone else, including her teachers. She’s cooperative, well-behaved, and you’re the luckiest mum on earth… until the very second you strap her into the car seat. The “she-devil” is unleashed – she’s screaming at the top of her lungs, kicking with all her might and demanding that you do as she says! Is She A “Street Angel”? You’ll be surprised to know that your little sweetheart would be mortified to think someone else had seen her kicking up a fuss. Try threatening to tell grandma or her favourite teacher that she’s misbehaving and you’ll see how frightened she becomes. You see, your child is in fact a “street angel/home devil”. Most toddlers, little boys or girls, have an innate high level of anxiety. They often display early traits of perfectionism and appear to be more emotionally sensitive, with a lower level of self-image. Therefore they strive to dress like all the other kids and to look perfect, so that she doesn’t attract any negative attention or teasing, and that everyone will like her. Parents are often blamed for “creating” this street angel/home devil. But this is rarely due to poor parenting. In fact, most parents of such toddlers are, in fact, very caring and affectionate. And the troubling traits are more likely to be genetically inherited. In other words, we often find that these children have parents, or older relatives with similar traits toward perfectionism, anxiety and a need for social approval – in short, it’s just their personality. Psychology tells us that we can’t blame the parents. 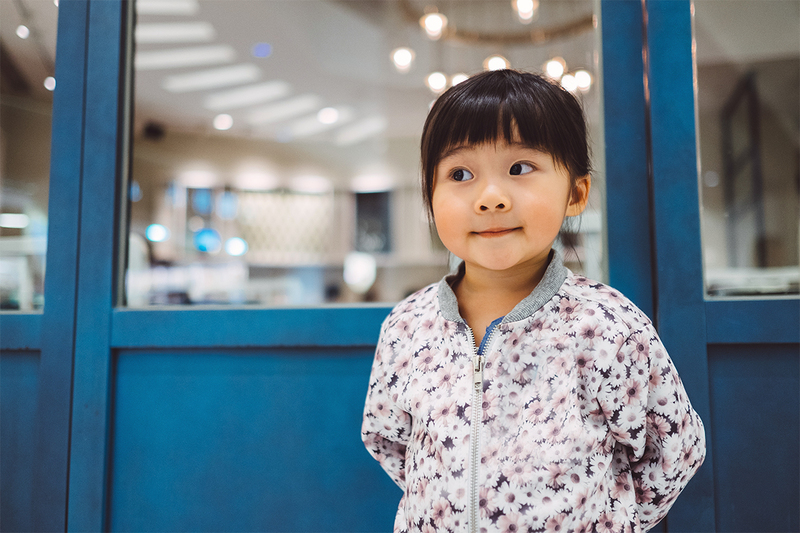 Not only do these kids have inborn traits, but they also tend to have hidden insecurities and an intense fear of being embarrassed in public. As a result, your angel would be absolutely mortified about getting into trouble at preschool, or being disciplined in public. So, she suppresses her behaviour and intense feelings at this time. Toddlers like your angel also tend to dump more on the person they love most, as well as the person they know will love them no matter what – you. Often, the most loving mums or dads have the most intense home devil, as they know their doting parents will jump through hoops for them. Dealing with a street angel/ home devil is challenging, but change is possible. The process begins with communication, preparation and consistency. She needs to know that throwing tantrums mean that mum will withdraw, and will not communicate nor give attention to negative behaviour. But balance this up with lots of positive input, attention and recognition for good behaviour, both outside and at home. She needs to know that if she can beat this tantrum, she’ll get lots of love, time and affection in return.